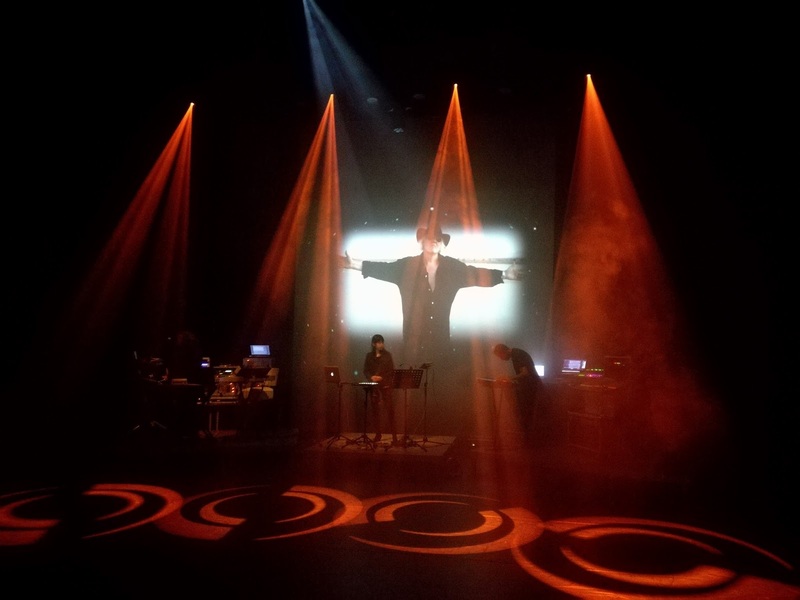 A bit belated, but here is my impression from recent E-Live festival, held at Theater De Enck in Oirschot, October 21st and 22nd. 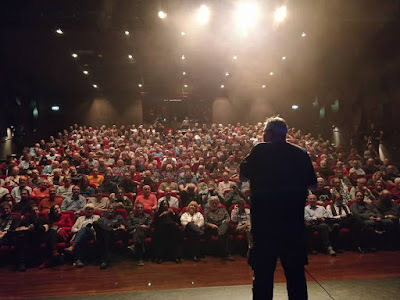 Ron Boots talking to a full house. Photo © Rob Enzlin. This year's edition was a special one in the festival's history, because the event was spread over two days instead of Saturday only. When the regular festival day was already sold out rather quick after the announcement of the headlining Tangerine Dream, E-Day's organiser Ron Boots decided to add a second concert date, which was set to the day after. This second concert didn't sell out, but in the end an approximate 500 people visited the weekend. I decided to only visit the Saturday. In the first place because I was about to present my new album release, "The Return of Planet X". Secondly because I didn't have the urge to book an overnight or travel quite the distance another time the next day. Since early 00s I stopped following Tangerine Dream's activities, until I saw Edgar Froese performing at the T/U Eindhoven (E-Live's previous location) and Tangerine Dream's concert at the Loreley, both in 2008. In my opinion both concerts contained nice moments. Nothing more, nothing less. 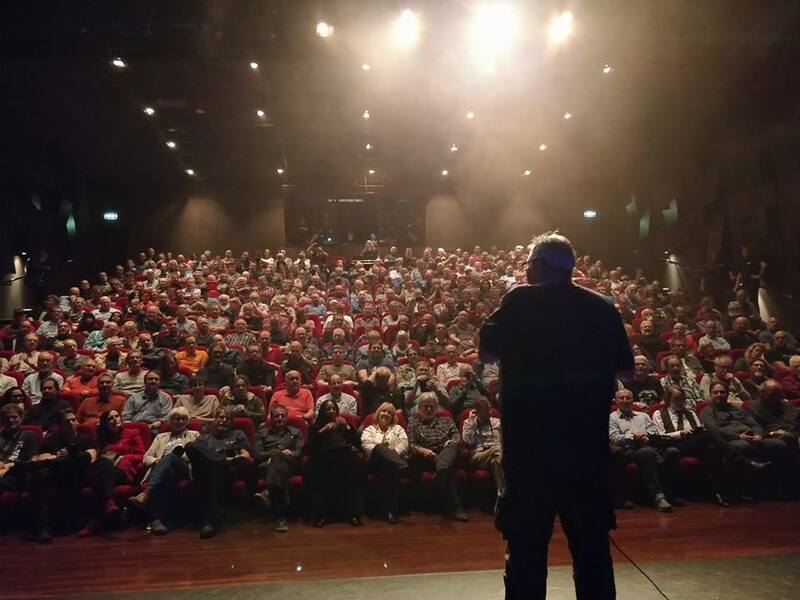 When tickets went on sale for Tangerine Dream's first concert in Oirschot, I decided to give it another chance. My friend Wouter Bessels convinced me to do so. And on the other side I was curious what Tangerine Dream was about without front man Edgar Froese. Slightly with mixed feelings, because of the fact that the band Loom (consisting of Froese's son Jerome and fellow ex-TD member Johannes Schmoelling, as well as Rob Waters) sounds more Tangerine Dream to me than the original band's line-up since the passing of Edgar Froese. It might not be a surprise that this situation generated some discussion between both bands, as well as amongst fans from the first hour. 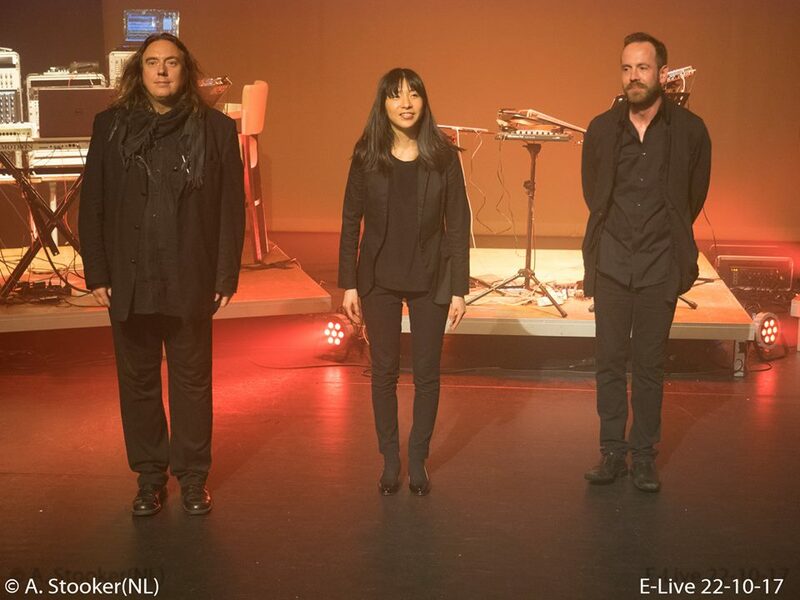 Edgar Froese's wife Bianca fully supports the continuation of her (in 2016 passed) husband's heritage in its current form, with band members Torsten Quaeschning, Ulrich Schnauss and Hoshiko Yamane. Coinciding on this day she presented her husband's autobiography "Force Majeure", which was long awaited by the fans. As usual, during the day there were a couple of concerts. This year's time table contained concerts by Beyond Berlin, David Wright & Carys, Sonic Rider, and so Tangerine Dream (presenting "The Quantum Years - in honour of Edgar Froese"). Mainly because of the fact I was presenting my freshly released "The Return of Planet X", I 'missed' all concerts, with exception of the main act. However, I already saw David and Carys during last summer's Schwingungen Garten Party. Same goes for Beyond Berlin, which I witnessed performing at De Enck a while ago. In between the concerts a nice amount of people visited the stall to buy my new release "The Return of Planet X". People who already pre-ordered the album, also picked up their bonus disc. Then came the moment that Tangerine Dream entered the stage. It took me 10-15 minutes before I could let go the fact I was listening to Tangerine Dream with expectations. From that point I enjoyed every bit of it. First the brilliant first two hours, containing new tracks, as well as some classic TD tracks, like "White Eagle", "Rubycon", "Logos" and "Song of the Whale", of which the latter memorated Edgar Froese, sentimentally coincided with projected portrait photos. Followed by a 50-minute fully improvised jamsession after the break. Craftmanship and simply amazing! The global sound mix was hypnotizing. In my opinion a brilliant decision. Without doubt containing clear Tangerine Dream elements and links to Edgar Froese's trademarks, this time carried over by the new generation of musicians. It was good to see and hear the effective collaboration between the musicians on stage. Only point of criticism could be the fact that the violin player seemed to have not much to do a large part of the time, and just stood there silently. While she was set up in the middle of the stage, there was no opportunity for her to leave the spot. But who cares, especially when you had closed your eyes to enjoy the concert? Thorsten, Hoshiko and Ulrich. Photo © André Stooker. Concluding this concert, I was more than surprised about the brilliant output. 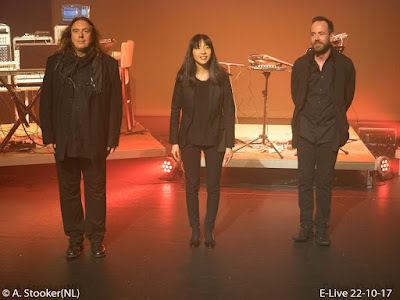 It definitely has an reason that these musicians are still performing together as Tangerine Dream, despite the fact it will never be Tangerine Dream anymore after the passing of Edgar Froese. But attending their concerts without any expectations, it was one of the best electronic music acts I have seen and heard in a while. Nice detail: both evenings featured completely different music. Which must have made it an absolute treat for everyone who visited both concerts. Hat off for organiser Ron Boots, who once again did a lot of efforts to organise a valuable event proving electronic music is still alive. As always it was a great pleasure to talk to and have fun with a lot of people during the day. Also thanks a lot to my lovely wife Paulien, who took care of my album sales. Finally I got back home around 2:30 a.m.
Coming time I will continue activities around "The Return of Planet X" and some upcoming projects. 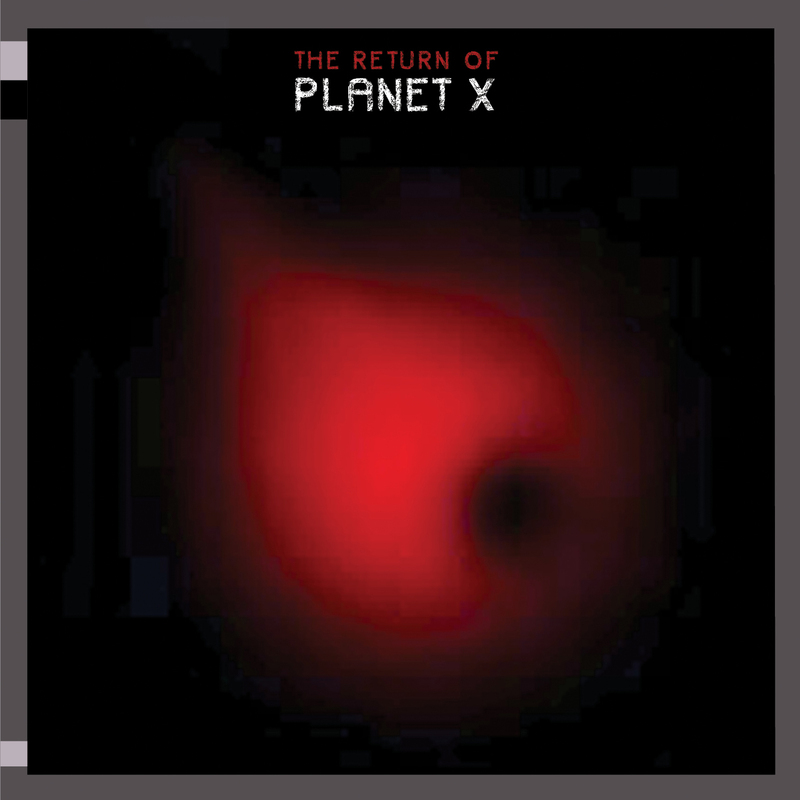 Recently there has already been quite some airplay of "The Return of Planet X", the first reviews start to come in, and besides the physical release the album will soon also be availble as digital download from Spotify, iTunes, Amazon, and many more sites.